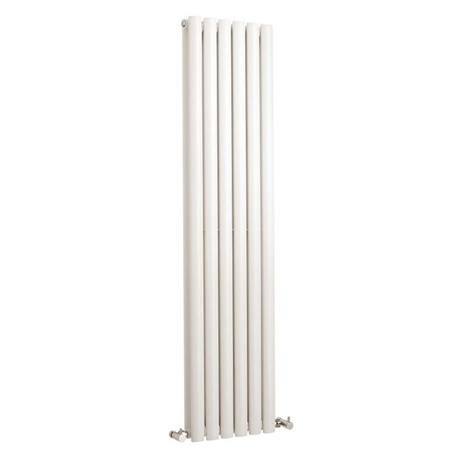 The Hudson Reed Revive Vertical Double Panel Designer Radiator, bring a stylish simplicity to any room with the revive designer radiator. Whether you show it to it's advantage in a vertical setting, where space is at a premium or have a more conventional area for your heating, Revive offers the perfect focal point. Q. Can this radiator be fitted horizontally? Hi. Unfortunately not, but there are horizontal radiators available in the Hudson reed range. for example Hudson reed fin horizontal double panel radiator in High gloss silver HLS81 or in black HLB81. Hope this helps. Hi. We have had a look into this issue and have found that if you purchase the brackets HL220 then the Revive panel radiator can be mounted horizontally. Hope this helps.